Violinist Lynnette Thredgold is a true entertainer who has the ability to share the beauty and energy of her music with her audience. Her music reflects passion and emotion with a unique style. Classically trained, Lynnette stretches the boundaries of the violin. Pop, blues, jazz, classical, and a “taste of country” are all a part of her show. 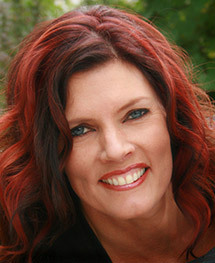 Lynnette has played professionally for more than 25 years. She has a Master of Music degree in violin performance from the University of Utah. She has studied with William Prucell, Andreas Cardenas, Leonard Posner, and has taught violin at the University of Texas at Austin. She served as concertmaster with the Ballet West/Utah Chamber Orchestra and Pioneer Theater Company for many years. She has also been a member of professional orchestras in Colorado, Idaho, Texas, and Utah. Her work with diverse artists—including Mannheim Steamroller, The Moody Blues, Mel Torme, Bill Cosby, Debbie Reynolds, Wayne Newton, Josh Groban, and Led Zeppelin’s Robert Plant and Jimmy Page—influenced her to stretch the boundaries of the violin and music. In 1995, Lynnette began performing her own show with backup artists on piano, bass, drum, sax, harp, and flute, including Jed Moss, pianist formerly with Air Supply. Lynnette has released three CDs co-produced by Mannheim Steamroller’s Chuck Penington—Amazing Grace, Cool Energy, and the newly released Dancing with the Red Priest. Her other interests have included bodybuilding and pro wrestling. She has been a world-class competitive natural bodybuilder earning several titles including U.S. National Masters Champion in 1999. Lynnette was also cast as Phantom in the nationally televised Women of Wrestling in 2000. She is married to Jeff Thredgold, economic futurist, consultant, and professional speaker. They have six children and 13 grandchildren.